Funny how seven wins on the spin can change the perspective of Aston Villa fans isn’t it! It’s been a mixed season in 2018/19 but Wednesday evening’s victory over Rotherham United gave everyone another chance to kick back and just celebrate slow and steady improvements in not only results, but also playing style. Going for the jugular at the halftime break against the Millers, despite being down to ten men was a huge credit to head coach Dean Smith and as he spoke about the game to the Official Site as the dust settled on our fightback, there were a number of interesting comments. His words about Jonathan Kodjia were worthy of note as Smith, predominantly a one man upfront manager, admitted Koj’s efforts had been forcing him into a rethink and that played its own part in the halftime tactical switch and substitution. 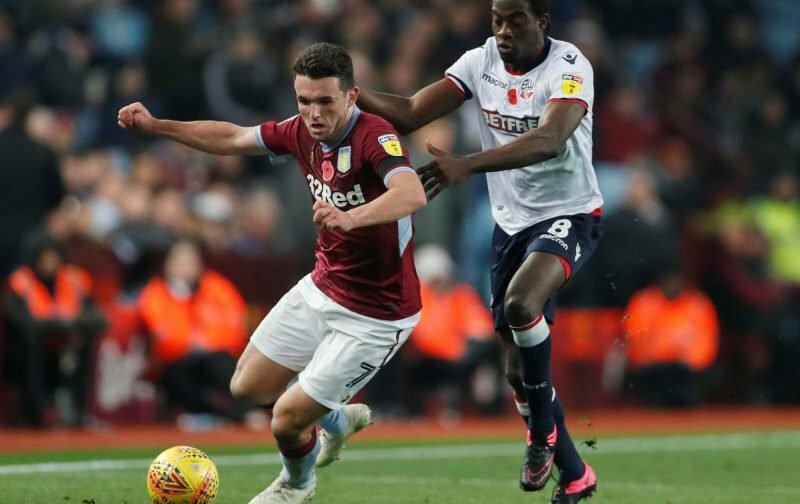 The clear standout performance from the game for many fans though was wee John McGinn. Smith had to acknowledge that himself. That’s fair enough to me, Rotherham had the extra man in the shape of the referee, so even things up where we can. Seems people agree as well – McGinn has been magnificent all season and long may that continue! He’s better than Zidane ???? John I was there last night ….. you my friend are some player ??????? ?